Is There a Dark Side to Electronic Medical Records? Doctors are increasingly dissatisfied in their jobs. Is the trend toward electronic over paper medical records to blame? Lake Effect's Mitch Teich interviews Dr. Ardis Hoven, the president of the American Medical Association. Despite a federal mandate requiring most physicians to adopt electronic medical record-keeping, the president of the American Medical Association says doctors are increasingly frustrated with the technology. "Simply sticking a doctor in front of a computer and making them check all the boxes isn't going to improve the quality of health care," says Dr. Ardis Hoven. Hoven says the AMA, which represents some 217,000 members around the country, did a study with the RAND Corporation of 30 medical practices in six states to see what caused rising doctor dissatisfaction. Toward the top of the list of grievances were electronic records. Hoven says doctors feel the growing amount of record-keeping is driving a wedge between them and their patients. Physicians complained about having to spend time away from their patients and how frequently the record-keeping systems didn't work. "They were not inter-operative, they didn't talk to each other. It didn't solve the problem and in fact, may not have improved the care that they were delivering," Hoven says. But it seems as if electronic records are here to stay in the health industry. 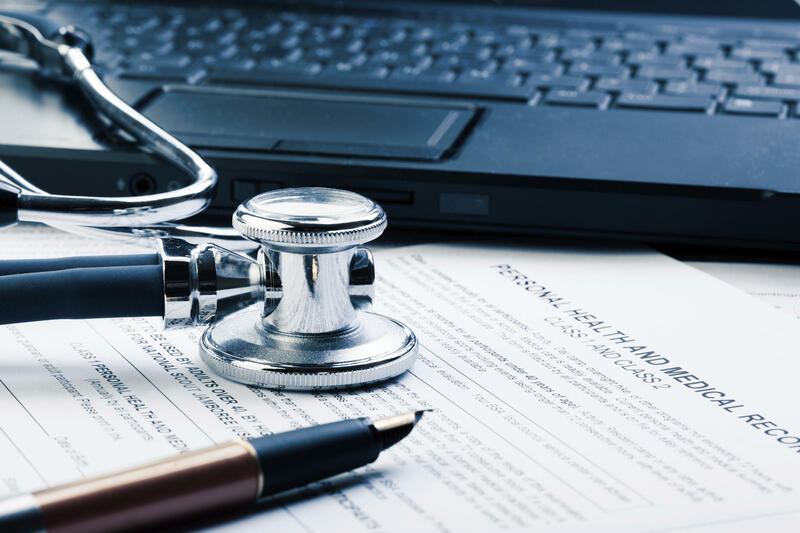 One of the Affordable Care Act's main provisions, which went into effect January 1, requires all public and private health care providers to make "meaningful use" of electronic records in order to quality for Medicare and Medicaid reimbursement. "We like technology, so we have to fix this one," she says, adding that the AMA will be working with doctors, regulatory agents, and the technology providers to try to find solutions. Hoven says there are some other concerning trends regarding how doctors feel about their profession. Fewer doctors are staying in their profession, and many are encouraging their own children not to follow in their footsteps, she says. "As we have listened to our colleagues out there, (there's) this feeling of not being empowered to do what you want to do as a physician; this dissatisfaction of what's happening in the care community; the destabilization of practices around financing - for example, Medicare funding; and all the unknowns out there, the Affordable Care Act," she says. It must start speaking with one voice, particularly on legislative matters related to health care, such as the Affordable Care Act. It needs to be more concerned with the results of medical care. "We've always talked about health outcomes, but we've never moved the dial in meaningful ways," Hoven says. The AMA will increasingly focus on two long-term health care issues that cause high rates of morbidity and mortality: hypertension and diabetes. It has partnered with YMCA's throughout the country to help connect prediabetic patients with exercise and diet strategies that are then monitored by doctors. This will help cut the risks of diabetes. The AMA has also partnered with the National Institutes of Health to deal with hypertension. "Thirty million people who have health care access have poorly controlled hypertension," she says. Hoven was in Wisconsin to speak with members of the Medical Society of Milwaukee County earlier in January. Lake Effect's Mitch Teich interviews Dr. Nate Ledeboer about sepsis. A Milwaukee researcher says new testing for an often fatal blood infection can diagnose the issue and find the right treatment days faster than the previous method. Lake Effect's Mitch Teich interviews Dr. Rob Lane, an expert in epigenetics. We all know our inherited DNA shapes us, but a Milwaukee researcher says how our parents - and even our grandparents - lived could also affect our genes. Lake Effect's Stephanie Lecci interviews Dr. Brad Riemann, clinical director of Rogers Memorial Hospital's OCD Center. A Wisconsin hospital has opened a new, expanded residential center to treat some of the world's most severe cases of Obsessive-Compulsive Disorder. When U.S. Senator Ron Johnson announced he was suing the federal government over the Affordable Care Act, a lot was made over the difference of opinion within Republican circles over the suit.